This post is sponsored by Homeschool Buyer’s Co-op. While I was compensated for my time and with free product, all opinions are 100% my own. You can read my full disclosure here. Confession is good for the soul and I’ve got one to share today. Homeschool planning can really frustrate me. Oh, I love finding homeschool materials and supplements that I know my children will enjoy. I even get ridiculously excited about seeing a good plan come together. It’s finding a homeschool planner that works for me that I find frustrating. I am currently homeschooling 4 children and I need a good planner to help my sanity homeschool stay on track. As my children have grown and our family schedule becomes fuller, I require a lot from a homeschool planner. I need a planner that helps me “work smarter, not harder”. 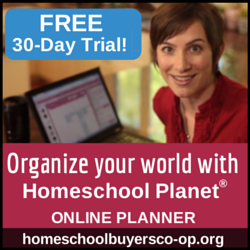 I recently had the chance to review Homeschool Planet from Homeschool Buyer’s Co-op and I have been blown away by this online homeschool planner! It does things that I didn’t even know I needed. For real. So what makes a good homeschool planner? Here are several questions I ask myself as I’m looking at homeschool planner options. I will not use a planner if it is not user friendly. If you don’t like it, you will not use it. I need a homeschool planner that isn’t complicated. If you are someone who enjoys elaborate planners, I salute you. That’s not me and I’m okay with it. I have found Homeschool Planet to be incredibly easy to use. Navigation is simple and the autofill feature for scheduling is a beautiful thing. 😉 There are also videos that are extremely useful for understanding how to use the online homeschool planner to meet your needs. Does it meet my needs? Maybe I’m the only one, but I’ve tried using homeschool planners that weren’t really designed to meet my homeschool’s needs. Don’t buy something you won’t realistically use, no matter how pretty it is or how many other people are using it. 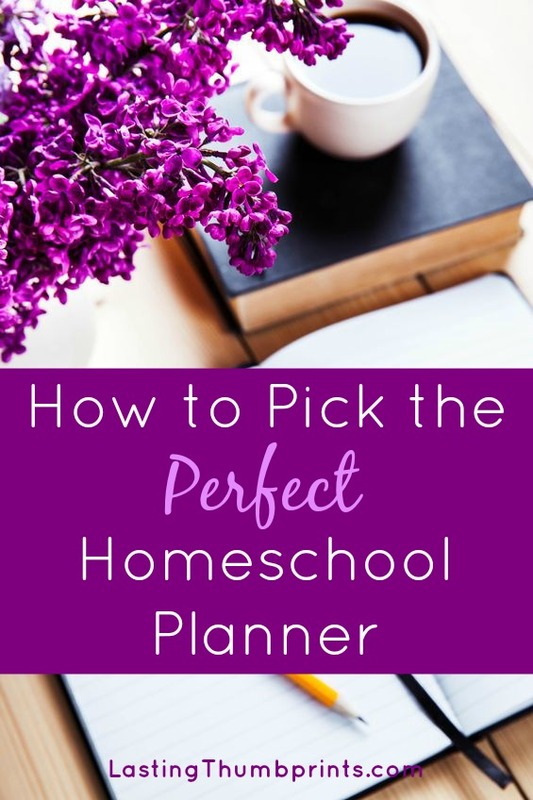 I require a lot of flexibility in my homeschool plans and the perfectionist in me is very bothered when I have to reschedule in a paper planner. You can imagine my joy when I discovered how easily lesson plans could be rearranged in Homeschool Planet. The customization within this online planner would make it a great fit for any homeschool family. 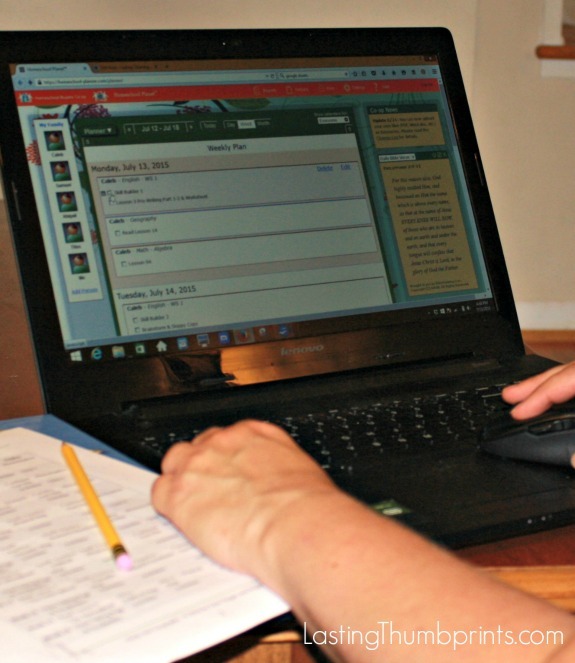 You can customize schedules, grading scales, and more. Can it work easily with my independent learner? I have a teenager and I need a planner that makes it easy to share assignments. I really recommend you keep in mind how your homeschool plan works with your independent learners. You don’t want to have to duplicate your planning efforts. This is part of my work smarter, not harder strategy. While I am typically a paper and pen kind-of gal, this online homeschool planner has won me over. In addition to the benefits I mentioned above, Homeschool Planet has many other valuable features. It’s like a one stop shop for homeschool families! 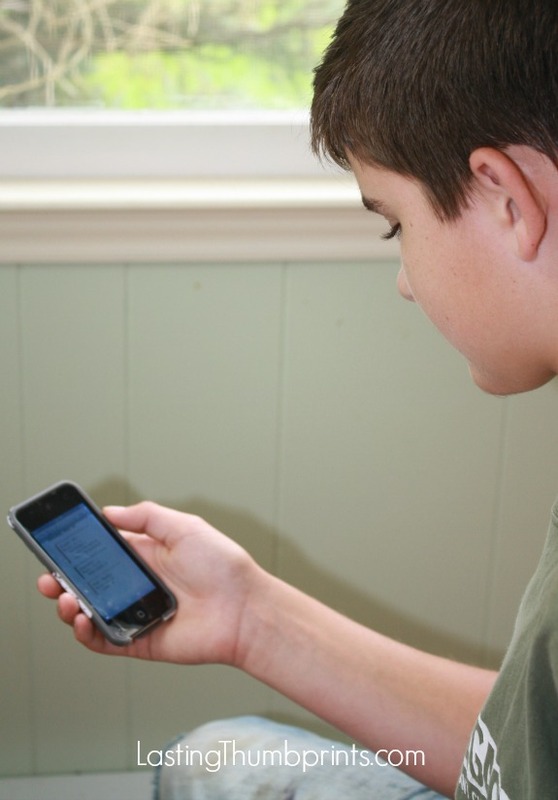 You can plan for your homeschool, menus, chores, extracurricular activities, and more all in the same place. I no longer need multiple planners to try to keep our schedules straight. I can still easily print our schedule. You can add web links to assignments for online material. Track assignments, attendance, and grades together. It allows you to easily create your student’s transcript. I still get the satisfaction of seeing things crossed off my to-do lists. I can quickly create and organize grocery lists and then email them to my husband. Would you like to check Homeschool Planet out for yourself? Great news! You can snag a FREE 30-day trial to Homeschool Planet right now. I think you’ll love it just as much as I do. I am always jealous a wee bit of those who can use online planners. I am a paper girl who takes great pleasure in marking off my list! I love homeschool planet but I still have a separate little planner that I have printed off line for free to help me accommplish that feeling of crossing things out on my own. But homeschool planet is still my number one organizer. It is easy and simple to use and the best thing you get email reminders of everything on your schedule. Totally agree, Jennett. I have really appreciated how easy Homeschool Planet is to use. I need that in my life. 🙂 Another feature that I like is the grocery list. I can create my list, reorganize it quickly to match the flow of our local store, and email it to my husband. So helpful and it’s all in one place!